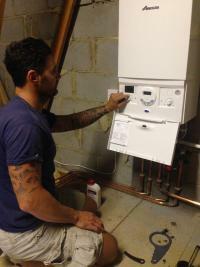 Need a new boiler in Chichester? Get FREE no-obligation quotes now! 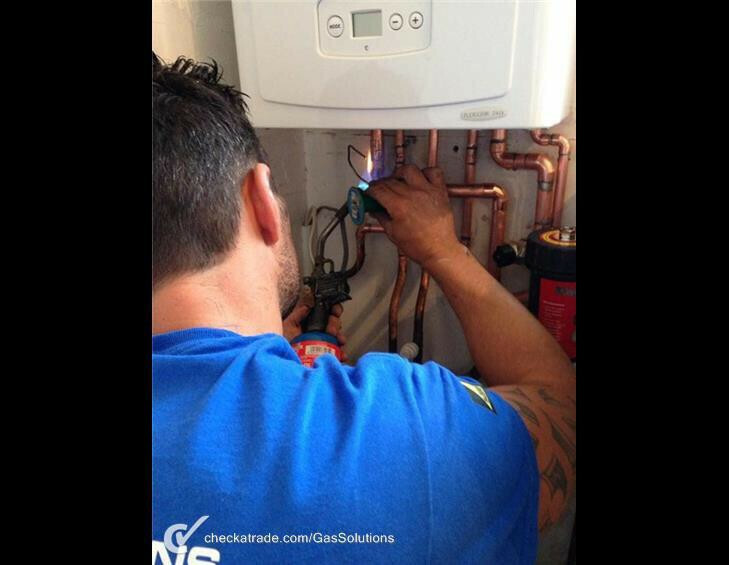 Gas Solutions ( southern ) Ltd are Gas Safe registered heating engineers who supply and install gas boilers. For similar replacement boiler companies in this area please visit the Chichester boiler page. 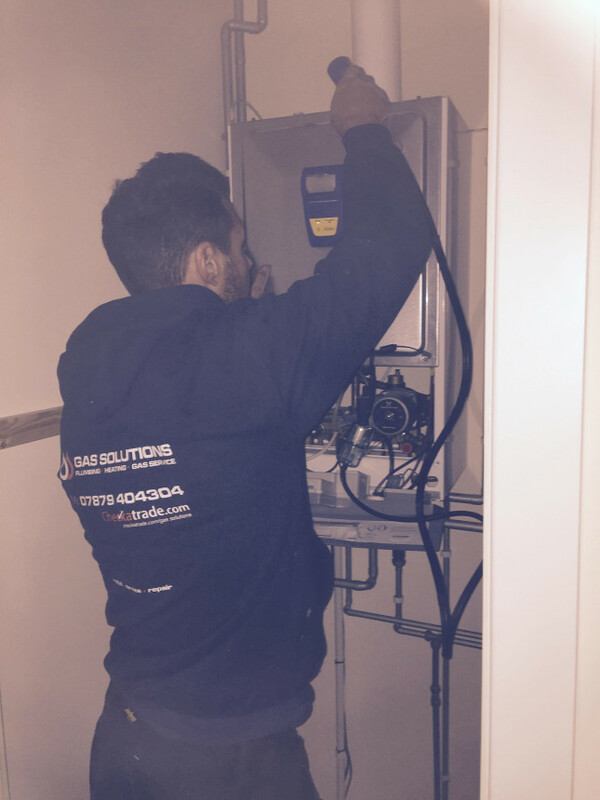 Gas solutions was formed in 2007 and as a family business we have established a good customer base from providing an honest and reliable service. Our team of engineers are very friendly and like to help our customers the best they can by ensuring jobs are completed to the highest standard. We are boiler installation specialists and we know that needing a new boiler can sometimes be an unnecessary cost, so we offer some very good 0% finance plans to suit your monthly budget to help with this. 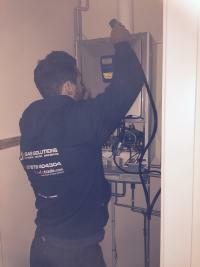 Our dedicated team of engineers will install your boiler to the highest of standards and on completion explain full workings of both your boiler and heating programmer to you and you can rest assured that your house will be left clean and tidy. Very good warranties are offered on all our boiler installations for both parts and labour and once your boiler has been installed we will service and maintain it so it's always working at an optimum level. We will answer your calls as promptly as possible and we are always a good point of contact throughout the duration of the works we do for you. No job is too big or small for us , our work ranges from changing tap washers and ball valves to designing and installing complete central heating systems that best suit your needs. We also offer an emergency call out service for out of hours emergencies, ie gas leaks, water leaks and boiler break downs. We will always try to prioritise these calls. I would definitely recommend this company and would not hesitate to use them again myself. Highly competitive quote given online and no additional extras required once the quote was accepted. The main installation was completed within a day so the boiler was usable straight way with just some tidying up to do on a 2nd visit. Gas Solutions were super efficient and kept everything clean and tidy. Except for the much improved heating you could hardly tell they had been in! 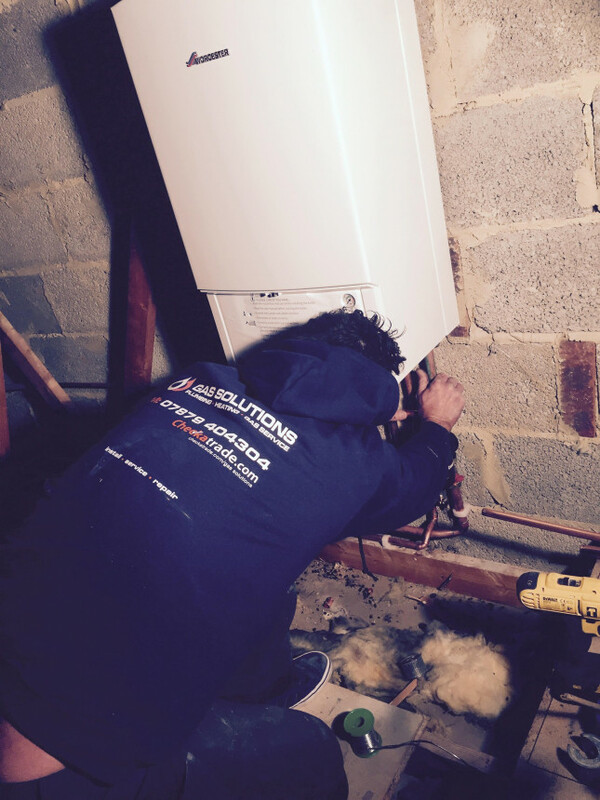 We have had absolutely no issues with the boiler since installation and are reassured by the additional warranty given by the manufacturer for using their approved installer. 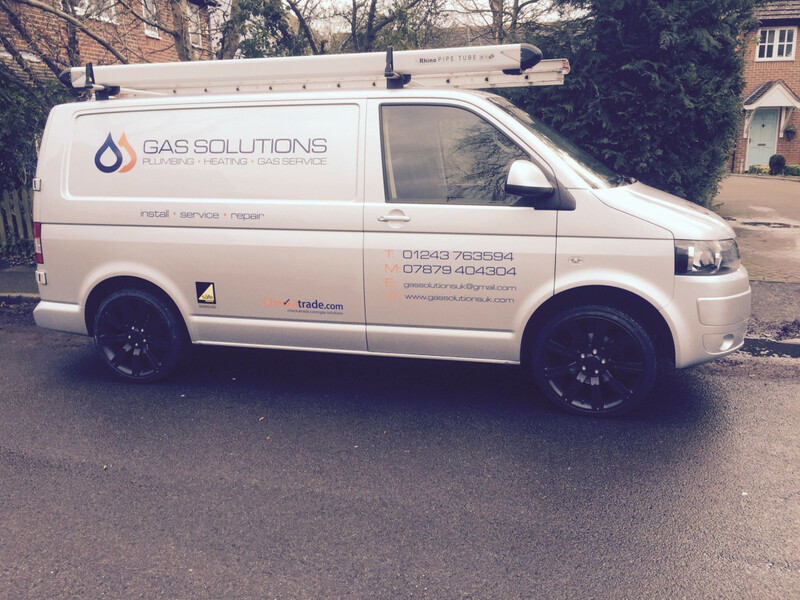 Excellent service from Gas solutions. Richard was very helpful and knew the property and troublesome boiler that was fitted when i mentioned the issue that i had. Kept me up to date with progress regarding the fitting. 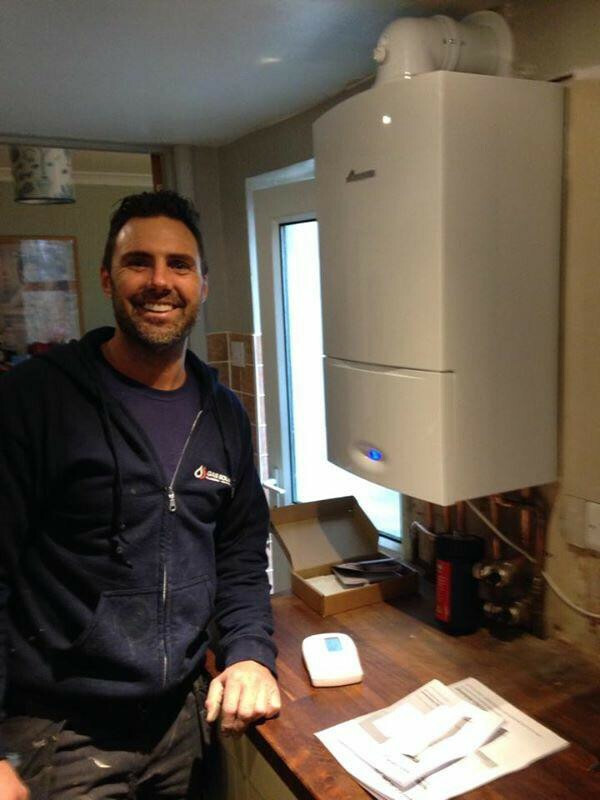 I am now using Gas Solutions for my annual gas safety certificate and servicing of my new boiler. Would reccomend Gas Solutions whole heartedly to anyone, very happy with their service. Richard sent a text to ask if he could come earlier than agreed, which was great news. 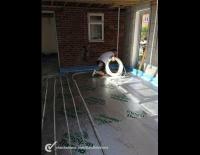 He and his team arrived when they said they would, and did a great job for a sensible price. The quote was detailed and left me in no doubt as to what was included. They also did some additional work for me, and left the place tidy at the end. Would certainly use them again. richard was very helpfull in advising my best options then submitted a very reasonable quote and boiler was replaced, an excelent job was done very pleased. would have no hesitation in recomending gas solutions to anyone. thank you. A professional approach to their job. Overall very satisfied with installation work carried out. My wife are we're extremely pleased with the suggestions offered regarding relocation of our new boiler. Richard and his assistant Tom are both hard working, neat, clean & tidy workers & both very polite. My wife & I would highly recommend Gas Solutions (Southern) Ltd.